Peaceful was simple indeed. 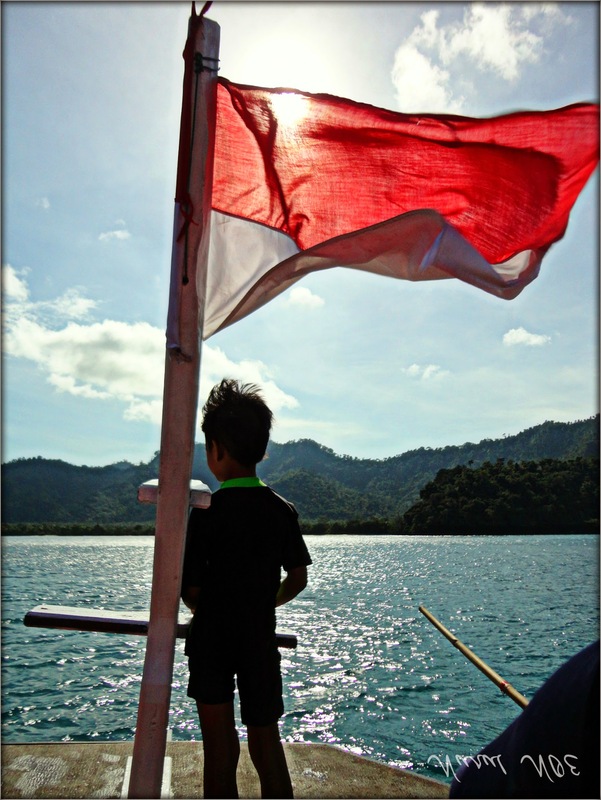 As simple as seeing my son enjoying his adventure on the ship, below the waving of red and white flag. The flag that makes us remember the bloody history of the Indonesian struggle for independence. So how can you say that it is now difficult to find peace? Believe it, that peaceful is there, inside our heart! great photo – and I could feel the wind…. so nice. Pastinya kebahagiaan dan kegembiraan yg terpancar di wajah … Mamas kah?